A truly romantic full tulle ball gown style wedding dress. With a lace bodice and a sparkle underlay. 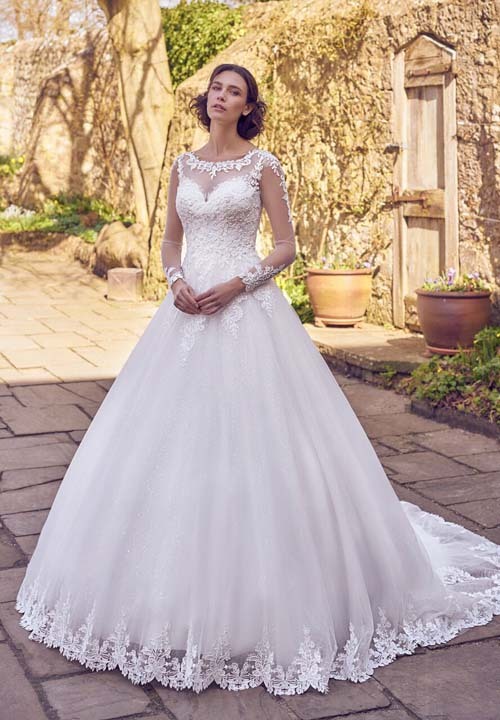 With an illusion neckline that has been edged with lace this gorgeous style features long sleeves and a button cuff.